These sterling silver earrings are made with unique technology by stiffening chains and arranging them in rows. This piece is a special version, where full and empty forms make a nice contrast, which creates a distinctive look on the body. They are light and comfortable. This pair of earrings is a great choice for an elegant daily look. 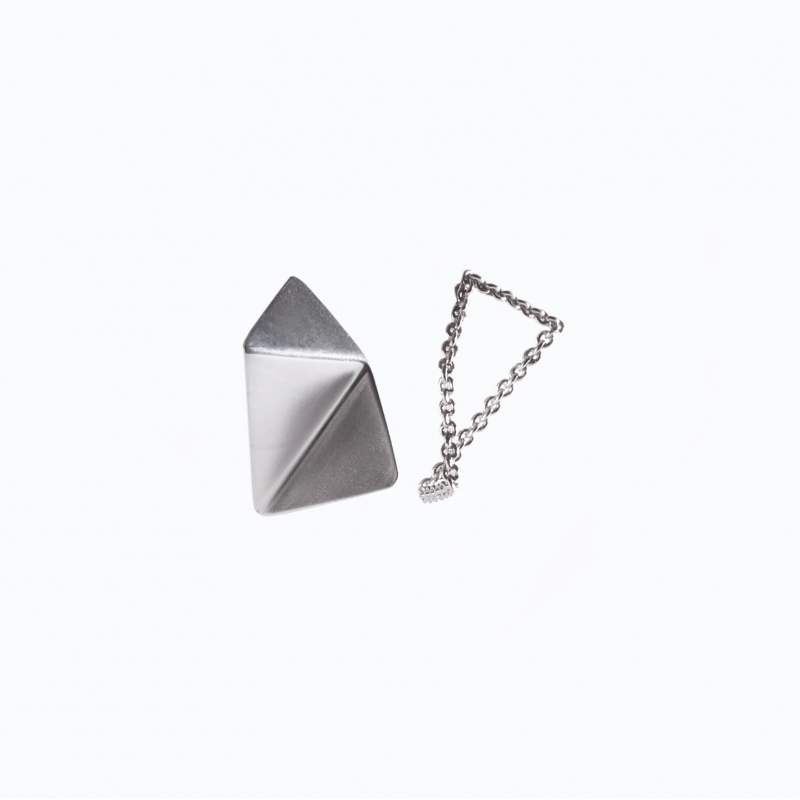 The earrings' design was inspired by geometric forms, and architectural and sculptural influences. They are fabricated by hand.